Away is modern travel & lifestyle brand offering beautiful, high-quality affordable luggage. Away is looking for an experienced Regional Manager to join the team at HQ. This position will be instrumental in our retail growth, as we continue to develop our current retail stores & grow the retail store count in 2019, & beyond. The role will specialize in leading the retail stores within a geographical market; driving performance, talent, & sales performance. The ideal candidate has 3-5 years multi-store leadership experience, & is interested in being a part of scaling a fast-paced consumer brand. This position is based out of Los Angeles, CA in our Melrose Flagship & will report to Away's Director of Retail Experience + Store Operations. Support the success of retail stores within a geographical network of stores, usually 6-12 stores. Develop & maintain strong working relationship with Aways field teams & all cross-functional HQ departments. Ensure stores within the region are achieving financial plans by identifying, retaining, & developing talent. Support ongoing collaboration with stores teams & HQ partners to ensure success. This role consistently ensures a thorough understanding of operational functions, business processes & overall results of the Store Management team. Other priorities are ensuring each store is maintained to brand standard, runs smoothly, meets budget/sales goals, & is compliant with all tasks, procedures, marketing, incentives, etc. Regional Manager leads the store portion of all new store activations; including building new store team, training, product receiving & setup, amongst other retail facing responsibilities. Ensure the Away Core Values are brought to fruition in our retail stores. Ensure all team members are well-trained on experience expectations, & are actively deliver high level client service. Ensure stores are reaching KPI goals. Stores should have regular strategies in place to drive sales performance & KPI results. Partner with Store Managers & HQ to work through talent performance challenges in retail stores. Ensure proper & efficient onboarding of new talent within your market. Manage Regional budget to ensure operational efficiency. Visit stores in your market at least once every 45 days, with more frequent visits to flagship & higher volume locations. 3-5 years experience in multi-unit retail management or similar. 5 years previous experience as a Store Manager or similar. Strong communication skills, both written & verbal. We travel.We encourage you to take time to recharge outside of the office. Youll have flexible PTO to explore new places & access to Away products to ensure your travels are seamless. And once youre here for three years, youll earn a sabbatical & a bonus to take a well-deserved trip. Were not just employees.Were people.We offer insurance coverage (health, vision, & dental), tax savings plans for retirement, dependent care, commuter benefits, monthly reimbursements to incentivize you to work out, generous & inclusive parental leave, & a kitchen stocked with organic snacks & coffee. Well invest in your career.Our companys growing quickly, & well give you the opportunity to do the same. Youll have access to a number of professional development opportunities so that you can keep up with the companys evolving needs. Were creating an environment whereeveryonecan thrive.Our customers are global & diverse, so were building a team that is, too. Through initiatives like our employee resource groups, our new office in downtown Manhattan, & more, were building the cultural foundation that gives people the emotional & physical space to bring their best selves to work. We offer competitive compensation packages.We deeply value the talent our team brings to the table, & believe that fair & equitable total compensation packages are part of our commitment to everyone who works here. And so much more. You can bring your dog to work. Well give you money every month to grab coffee with coworkers. We have weekly team breakfasts & regular happy hours. We organize ways to give back to our local communities. 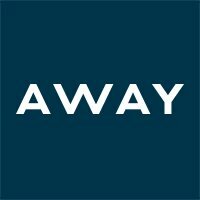 Away (www.awaytravel.com)is a global lifestyle brand creating thoughtful products designed to enhance your travel experience. Were building a company with a mission to make travel more seamlessstarting with luggage. We started in 2016 with one foundational piece: The Carry-On. Today, were working to build the #1 travel brand in the world. To date weve sold more than 500,000 suitcases, opened several retail locations, expanded internationally to meet our customers where they are, launched an in-house media division, & grown to a team of more than 150 people. We know thats just the beginning. Fast Company named us one of their 2018 Top 10 Most Innovative Companies, we were selected as one of TIME's 50 Genius Companies of 2018, included on LinkedIn's "Top Startups of 2018" list, & called a Breakthrough Brand with Ingenious Marketing by Adweek.